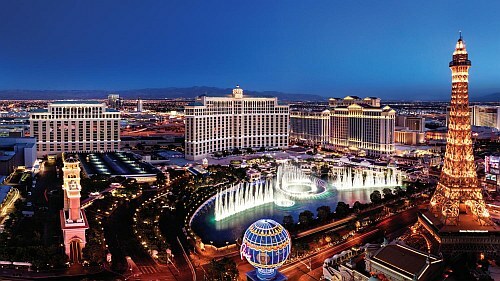 WestJet is showing non-stop flights from Calgary to Las Vegas for $178 CAD roundtrip including taxes. - Look for the dates that are $210 roundtrip. - Currently, it's just Saturday to Saturday dates that are available (except in November, where there is one Saturday to Wednesday flight available, from Nov 3 to Nov 7). On Priceline, the price will show up as $134 USD roundtrip including taxes. Priceline is *always* in $USD. This will work out to $178 CAD roundtrip when booked using a Canadian credit card, and including the typical 2.5% credit card foreign exchange fee. Update 8/28 - WestJet is still showing a few flights in late November and the first half of December from Calgary to Las Vegas for $178 CAD roundtrip. Other dates are now higher in price. Update 9/7 - There is still one flight in December from Calgary to Las Vegas for $178 CAD roundtrip. Update 9/13 - There is another flight in October from Calgary to Las Vegas for $177 CAD roundtrip. calgary, yyc, united states, flight deals, westjet, las vegas, nevada and north america. No Responses to "Calgary to Las Vegas - $178 CAD roundtrip including taxes | non-stop flights"